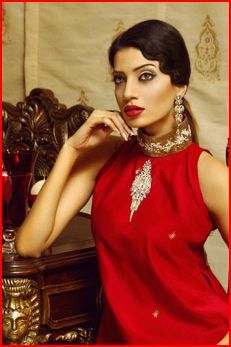 The Pakistani fashion stylist Saima Rasheed is working in the industry of fashion and showbiz from 22 years. She has earned big fame not only in Pakistan but also internationally and has made her name. There are many things that are included in the specialty of Saima that she use to give new look to different types of faces. Actually she has worked with many peoples of fashion industry and also with many peoples of showbiz industry. She has worked with many famous stars of Pakistani fashion industry that includes fashion models, TV/Film stars, fashion designers and directors. She has also done her stylist profession for many types of fashion shows and also for magazines. She is also known as the magician of makeovers and also had a salon which is called Saima’s Salon. In very short period of time she has made her name as the best stylist in Nairobi Kenya. She also has plans to explore European countries and also has a deal with the fashion magazines which is actually UK based. She also did many beauty shoots for different publications. The fashion stylist Saima Rasheed is the most talented and very hard working fashion stylist in the Pakistani fashion industry.